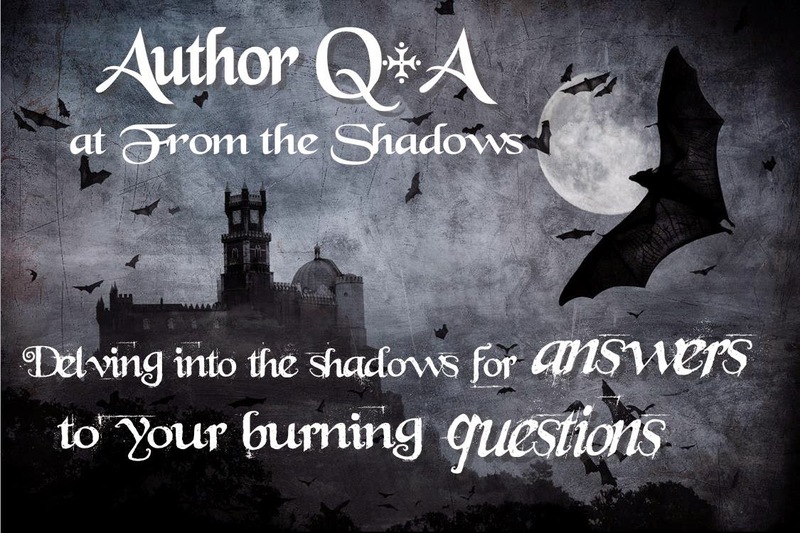 Please welcome today's guest author, Marlene Wynn! 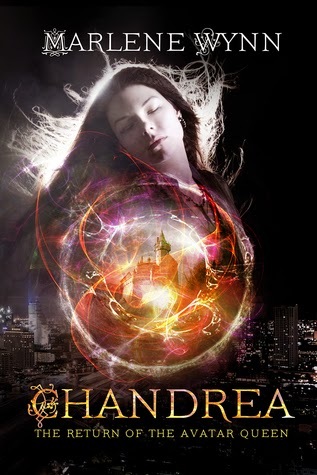 Marlene is the author of Chandrea: The Return of the Avatar Queen. Marlene: It took me several years to finish my first novel. That was mostly due to inexperience, life, and writers block (which happened WAY too often!) But the work on my second novel went much easier as I had a system down now and a good amount of the story had already been fleshed out. Because of that, it only took me about a year to write the second book in the Averill series. Marlene: I seem to enjoy going from genre to genre. For years, I like romance, then action/adventure, and now fantasy. Marlene: A shapeshifter. How cool would that be? To become anything you want at any time. Think of all the fun (and trouble) you could get into! Marlene: First, as a story about a young woman who is an orphan twice over and is searching for her roots, I think it would resonate with a lot of readers in the same situation. Second, I’ve tried to show that, even though life throws tragedy in your path, with love and determination, you can get through to the other side. That you can still live a happy and productive life. Third, this is a story of sheer strength of mind and character. When you’re entire foundation is ripped from beneath you, what do you do? How do you act? Who do you become? Have a question for Marlene? Ask away in the comments! Chandrea: The Return of the Avatar Queen (Averill #1) by Marlene Wynn. Thank you Marlene for joining us here today at From the Shadows! To learn more about Marlene Wynn and her books, please visit her website. 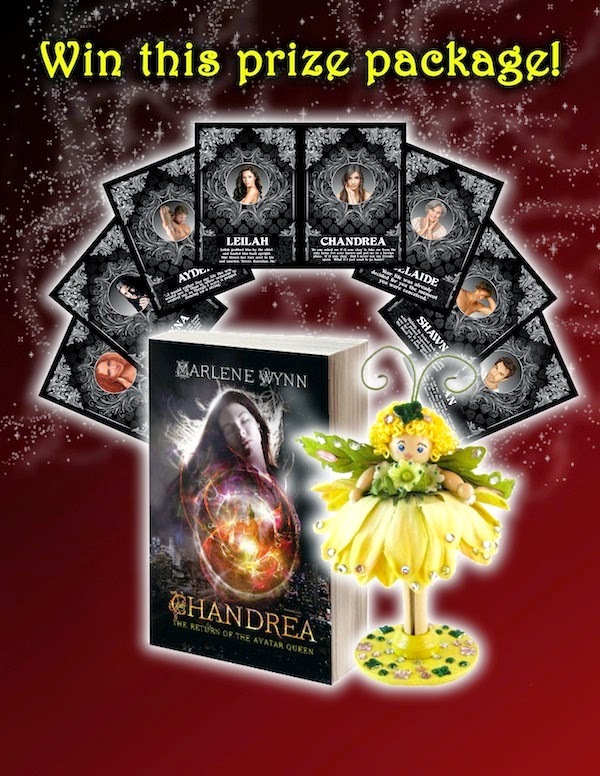 The author is giving away a print copy of Chandrea: The Return of the Avatar Queen, a handmade fairy, and a set of character trading cards to one lucky winner! To enter, please use the easy peasy Rafflecopter form below. This giveaway is open to US and Canada only. This is an Xpresso tours giveaway, and the winner will be randomly selected by author or publisher. Giveaway ends January 5, 2015.